Our dazzling Gatsby Allure Headpiece embraces the elegance and glamour of the Roaring Twenties with show stopping style. 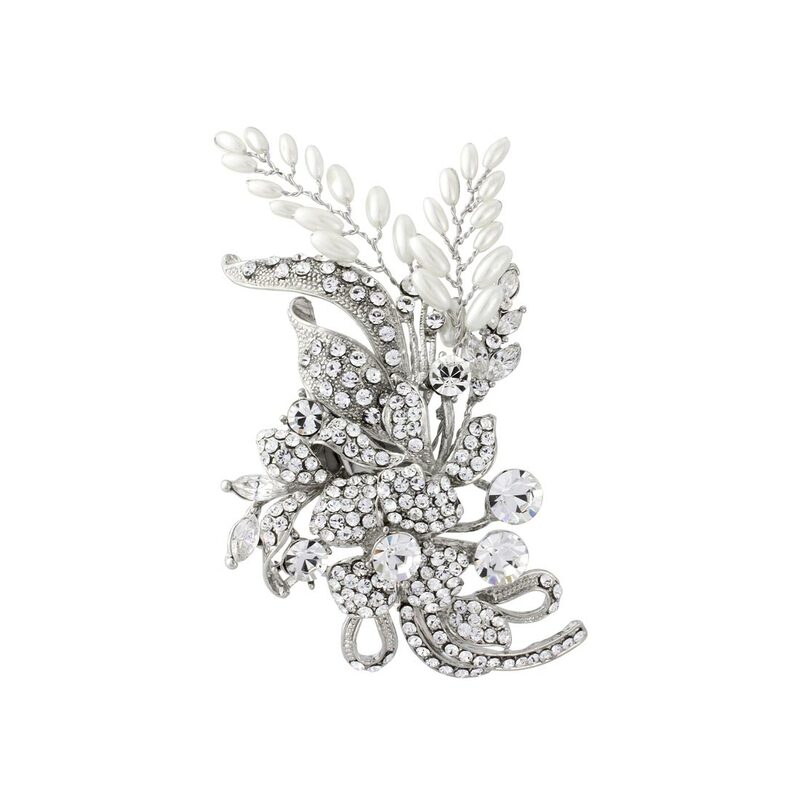 Featuring a sparkling Austrian crystal flower surrounded by dazzling bejewelled silver tone leaves and enhanced with feather-like sprays of elongated ivory faux pearls, this glittering headpiece makes an iconic Gatsby inspired statement. A delightful headpiece to adorn your up-do or classic 20s Marcel Wave, the accessory is secured with a small concord-style clip. Brides will adore the versatility of this sensational wedding hair accessory which beautifully enhances a drop-waist Twenties gown or adds a hint of vintage glamour to a more classic dress. Coordinate our Gatsby Allure Headpiece with pearl earrings and a floral cuff for elegant vintage bridal style.